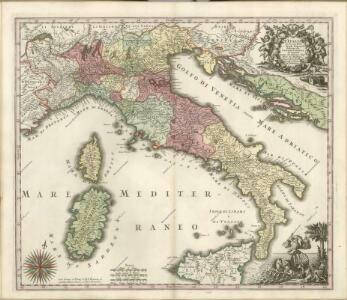 A new map of Italy with the islands of Sicily, Sardinia & Corsica. Italien von 1450 bis 1792. Composite: Carte Generale de L'Italie. 1 : 2341000 Johnson, A.J. 1 : 3090000 Dalmácie (Chorvatsko) Brué, A. H. Rothenburg, Rudolf von bey Artaria und Comp. 1 : 7400000 Seaman, James V.
1 : 2500000 Stein, Christ. Gottfr. Dan.